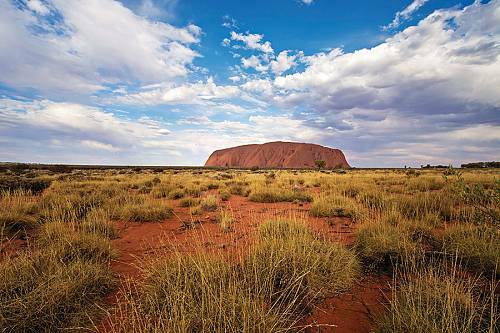 This Australia Family Vacation Packages: Beaches and Wildlife package was planned for a family with young children from New Jersey who wanted a family trip of a lifetime. This beach vacation is perfect for the young or the young-at-heart! They started in sunny Brisbane, where the whole family got to cuddle koalas and feed kangaroos at the Lone Pine Koala Sanctuary. They also visited Australia Zoo, which was founded by the Crocodile Hunter. Next on their Australia Family Vacation Packages: Beaches and Wildlife package, they drove to Lamington National Park. This fabulous park has incredibly diverse ecosystems and a wide variety of wildlife. They spent their days exploring the park, retreating in the evening to a luxury suite with breathtaking views of the surrounding mountains. Then it was on to a Great Barrier Reef adventure! They stayed in Palm Cove, where they lounged and played on beautiful golden beaches just steps from their apartment-style hotel. From here, they took a snorkeling excursion on the Great Barrier Reef. Their guide took them to the ribbon reefs on the outer edges; these ribbons house some of the most pristine and vibrant ecosystems on the reef. Continuing their Australia Family Vacation Packages: Beaches and Wildlife package, they flew to cosmopolitan Sydney. They saw all the highlights on a leisurely bicycling tour of the city. Then they had a very special experience at Sydney’s famous Taronga Zoo. With the Roar & Snore package, they were able to tour the zoo at night with a small group and spend the night in luxury tents overlooking Sydney Harbour. After waking to the sounds of the zoo animals coming to life the next day, they enjoyed some exclusive behind-the-scenes experiences at the zoo before it opened to the public. They had one final afternoon to explore Sydney. The next day, it was time to say goodbye to Australia and return home with memories to last a lifetime. Arrive in Brisbane early this morning and pick up your station wagon. You’re ready for adventure in the state of Queensland! First, embark on a cruise to the Lone Pine Koala Sanctuary and get a photo of yourself and the kids holding a koala! Located just outside Brisbane, the sanctuary is one of the only places in the world where you can actually cuddle a koala and feed a kangaroo. This afternoon, head to downtown Brisbane and settle into your accommodations. Today, head over to Australia Zoo, which is the most famous zoo in Australia and founded by the Crocodile Hunter, Steve Irwin. You are guaranteed a day of fun, discovery, and hands-on experiences that you will never forget. Make the short drive into the hinterlands today to Lamington National Park. Regularly referred to as “Queensland’s National Park,” it has world heritage status in recognition of its high biodiversity, from temperate beech forest to subtropical rainforest to dry eucalyptus forest. You can also spot over 160 species of birds, as well as reptiles, frogs, mammals, and invertebrates at Lamington. Your home for the next 2 nights is a canopy suite with plenty of private balcony space to enjoy stunning views over the McPherson Ranges. Spend these days at leisure in Lamington National Park and enjoy all this rainforest retreat has to offer. View glowworms on moist rainforest banks, splash around in a cool mountain pool in the summer, watch a peregrine falcon dive, try a family-friendly hike, zipline through the rainforest canopy, or try your hand at dozens of other activities. There’s plenty to do for the whole family here! If you like, the lodge will pack you a picnic lunch to eat at the foot of one of many waterfalls nearby. Drive back to Brisbane and then fly to Cairns, gateway to the Great Barrier Reef. 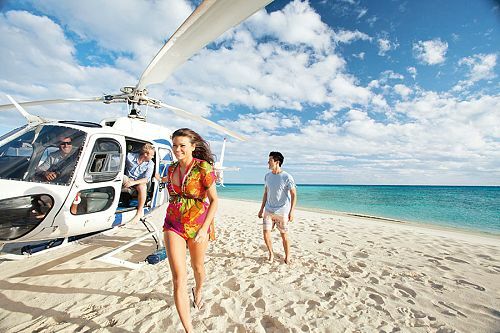 Travel by private transfer about 25 minutes north of Cairns to one of the most spectacular beaches, Palm Cove. This laid-back seaside village has spas, restaurants, and relaxing sand and surf. You’ll have a 2-bedroom apartment in a hotel right on the beach with a lagoon-style swimming pool. 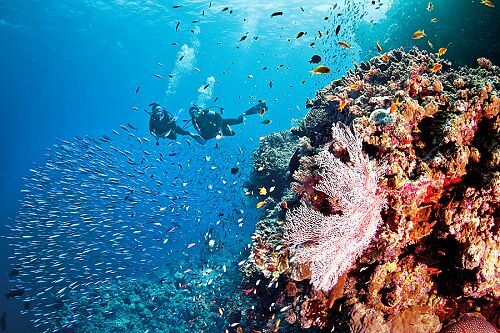 Today, a small group charter will take you to the outer edge of the Great Barrier Reef, where special reefs known as ribbons run parallel to the Continental Shelf. These ribbon reefs are recognized as the most pristine ecosystems in the reef’s environment. Clear water provides the best possible underwater visibility, encourages rich coral growth, and supports spectacular marine life. Enjoy 5 hours of unlimited snorkeling with lunch included. Today is reserved for absolute leisure on the beach in Palm Cove. Optional additional activities include: horseback riding, ATV tours, whitewater rafting, bungy jumping, day tours to the ancient Daintree Rainforest, spa treatments for the parents, or exploring Palm Cove on foot. Fly far south today to Sydney, where people from around the world come to play. 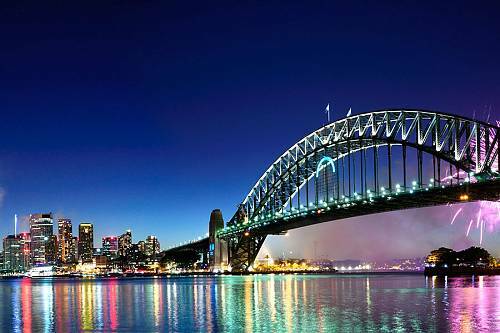 Cosmopolitan and well landscaped, iconic Sydney is a feast for the eyes with plenty to offer everyone, from animal lovers to adrenaline junkies. Your boutique hotel is supremely located in easy walking distance of Sydney’s major attractions. Today, join a small group and cycle around Sydney’s major sites on a bike tour. This easy ride features breathtaking views over the harbor! Pedal past Circular Quay, Walsh Bay piers, Darling Harbour, Hyde Park, and the Royal Botanic Gardens. The evening is yours to explore Sydney at your leisure. During the day, explore Sydney on your own. Perhaps visit one of the many fabulous beaches in the city, or if you’re feeling adventurous, view Sydney from above on the Harbour BridgeClimb (age 10 and up). This evening is something special. Spend the night at Taronga Zoo, a fun ferry ride away from downtown. Camp in safari tents, enjoy a sumptuous feast, and get close-up animal encounters as you tour the zoo with a very small group. Spend the night in the zoo campsite with views of Sydney Harbour one side and lions, snow leopards, and meerkats on the other! This morning, you will rise to the warbles, rumbles, squeaks, growls, and roars of the animals greeting the day. Your wildlife adventure continues with a continental breakfast before you are treated to 2 exclusive, behind-the-scenes experiences. You are also welcome to spend today exploring the zoo during the daylight hours. Spend the rest of the day catching the rest of the sights and making sure you’ve gotten all your souvenirs! Tomorrow, it will be time to say goodbye to Sydney. Your flight today will take you back home, your whole family wide-eyed and bursting with knowledge and new experiences to share with friends.